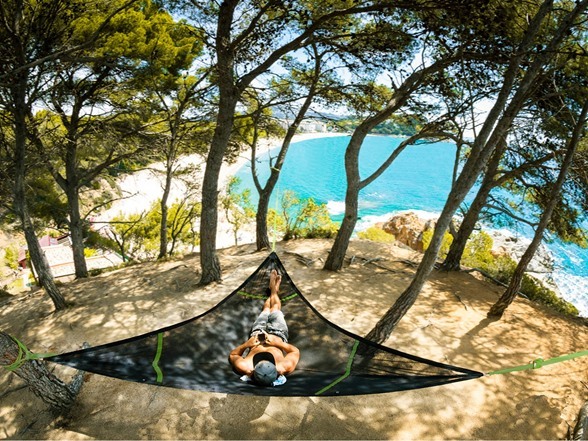 If you could lay in a three person hammock with any two people, living or dead, who would you choose? Our recommendation is that you choose living people. They make better conversationalists, and sometimes they bring snacks. There are certainly a lot of interesting dead historical figures, but digging them up just to put them in a hammock is going to involve a mountain of paperwork. Wouldn't you rather spend that time hanging out in a hammock? 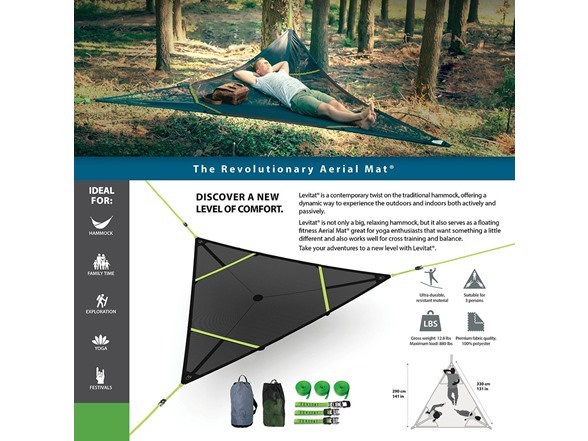 Levitat is a contemporary twist on the traditional hammock, offering a dynamic way to experience the outdoors both actively and passively. 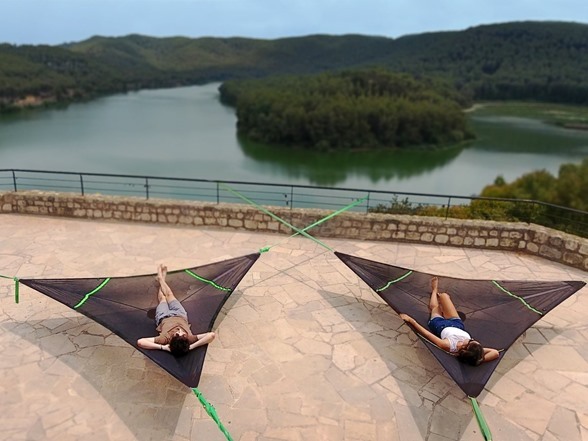 As a floating fitness mat, a relaxing hammock, bed, and sunshade, it offers the perfect challenge for exercise and yoga practitioners as well as families. It comfortably fits 3 adults or 5 children. 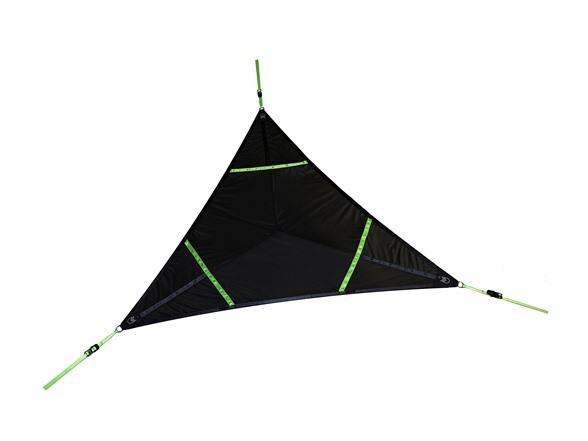 The Aerial Mat is made of breathable acrylic mesh. This is great for ventilation to both manage moisture and provide ultimate comfort. 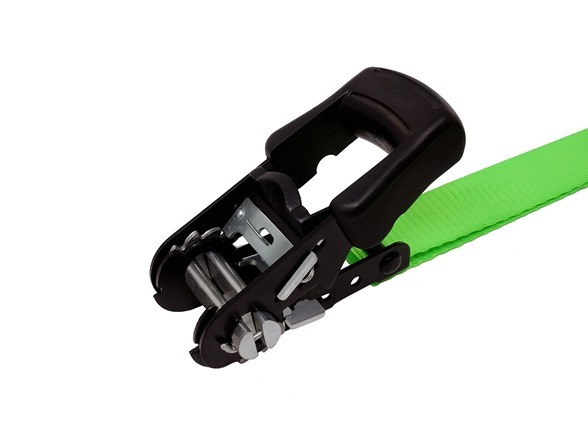 High-quality nylon mounting straps can be used with the Levi-Ratchets or alone to make strong knots. They're ideal to have if you need to lengthen your straps when in larger spaces. The Levi-Ratchets tightly hold your Levitat in place. The rubber ends make it easy for you to open and close. 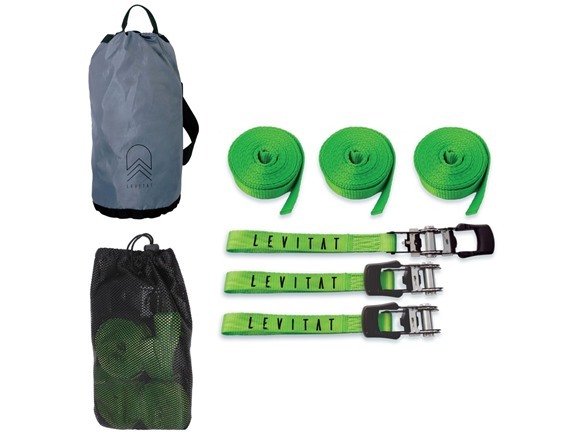 It's now easier than ever to travel with your new Levitat! Roll it up and carry it with you in the Levi Backpack. Convenient for long or short travel distances.